We finally have some winter weather and snow here in Ontario Canada. 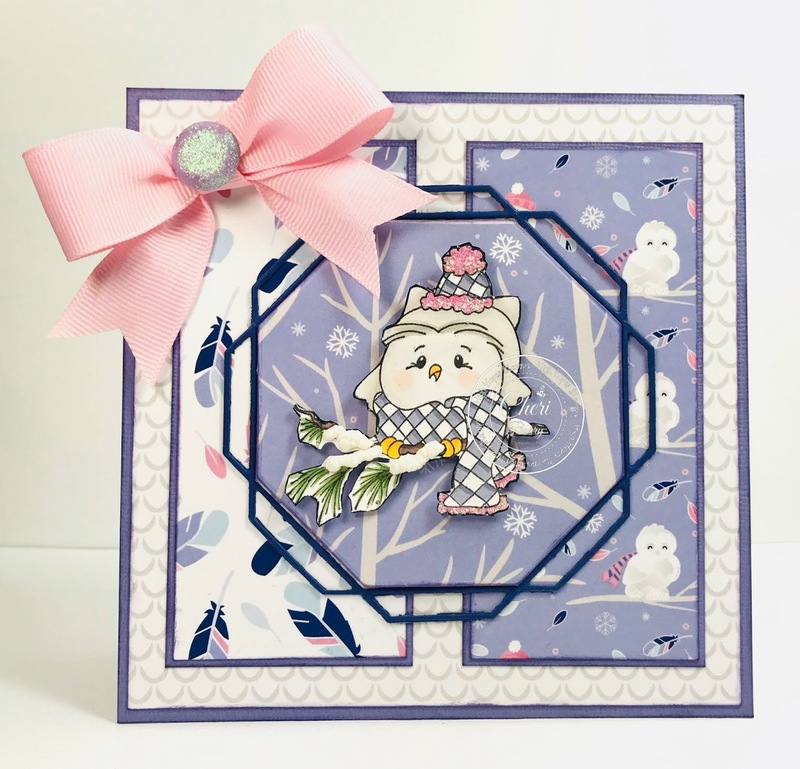 I'm feeling like this little "Winter Owl" from High Hopes Stamps is perfect for the Winter vibe here! I've had this paper from LDRS Called "Arctic Winter" that I've been dying to use and it was perfect for this adorable "Winter Owl" image. 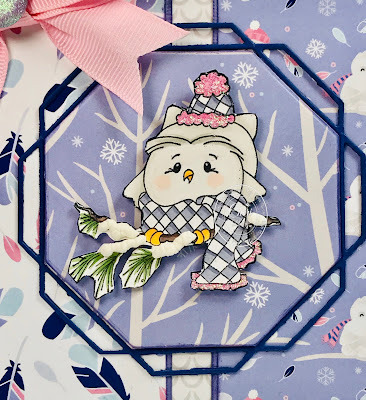 Winter Owl actually has some Christmas ornaments in the stamp. 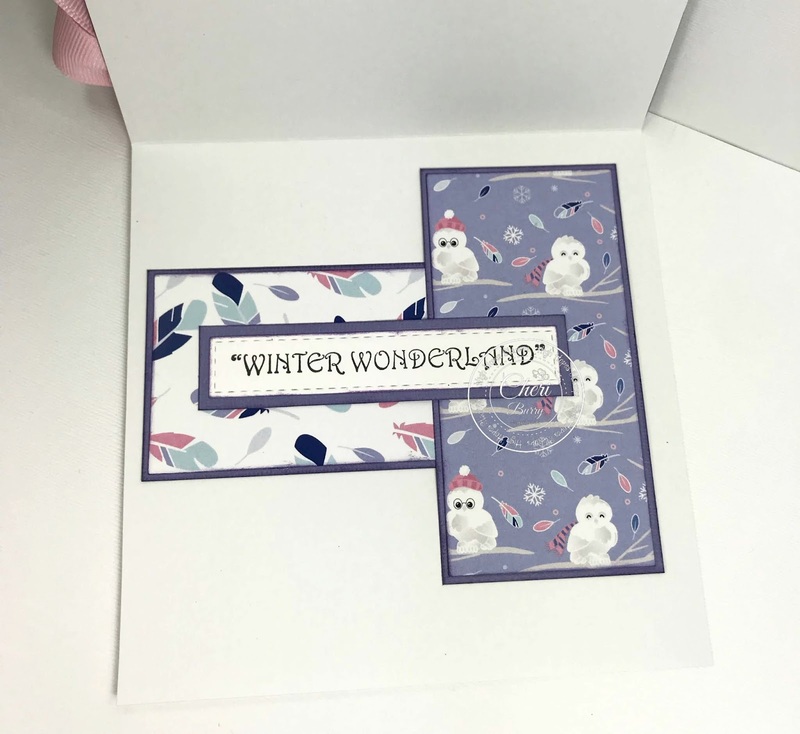 I masked them off before stamping my image for more of a winter theme rather than Christmas. I added Crystal Stickles to the pink areas on her hat and scarf and Liquid Appliqué to the snow on the branches. 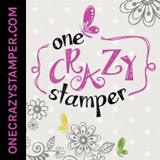 A bit pink bow finishes everything off. I popped the inner octagon and image up with foam tape for a dimensional look. 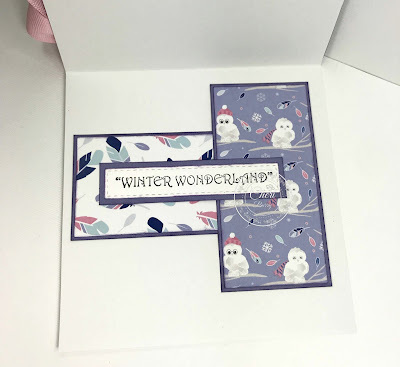 More papers for a decorated inside and the High Hopes "Winter Wonderland" sentiment.